Here’s something to add to the Blink-182 discussion: a video of Tom DeLonge, Mark Hoppus and Travis Barker talking about Alkaline Trio and Matt Skiba in 2004. The clip, which was uploaded to YouTube last September, has only now begun to garner attention due to Blink-182’s recent news of a new song, album and tour. DeLonge later adds that he re-wrote three songs on Blink-182’s self-titled album because Skiba inspired him to “go back and re-think” what he was writing. In response to Blink-182’s return with Matt Skiba, DeLonge shared a statement today saying he and the band “do have a future together” and that he met with Hoppus the day after “Bored To Death” was released. 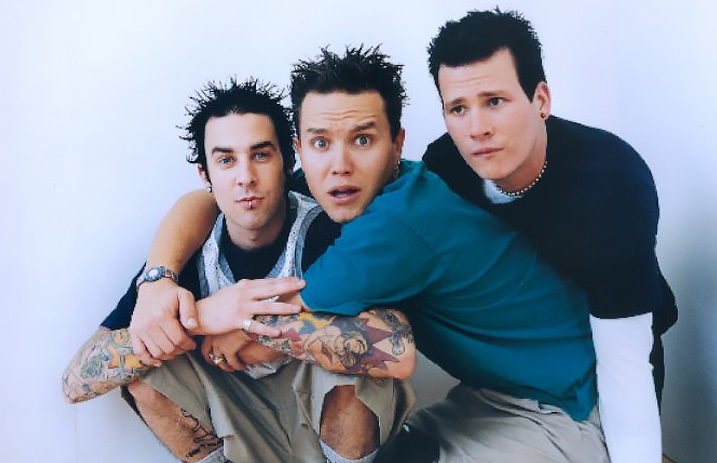 Blink-182 will release their first album without DeLonge, titled California, on July 1. They are set to embark on an arena tour this summer, alongside A Day To Remember, All Time Low and the All-American Rejects.